We’ve just listed two different homes for sale in East Nashville, each with different (but immense) charm, both historic and updated, both hosting open houses this weekend. For the East Nashville homebuyer eager to be right in the heart of close-knit and vibrant, highly walkable Lockeland Springs: Check out 1403 Woodland St., a beautiful 1910 bungalow that’s just blocks from the mix of restaurants, bars and shops at Five Points, on one of the neighborhood’s most desired streets, lined with other restored historic homes. 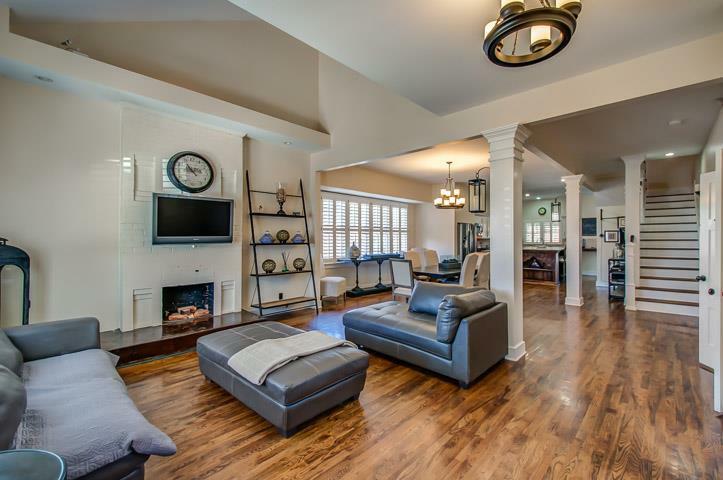 With 3 beds and 2 1/2 baths over 2,853 square feet, the home is as spacious as it is light and bright, and although it’s full of high-end upgrades — like an open kitchen with a thoroughly stunning custom island — its historic personality is perfectly present too. There’s ample entertaining space inside and out (you’ll love the covered deck overlooking a beautiful, fully fenced backyard), and there’s a big bonus that’ll come in extra handy during East Nashville celebrations like Tomato Art Fest: a five-car parking pad. Check out more information and photos of 1403 Woodland St. here, and join us Sunday, March 4, 2 to 4 p.m., for the open house. If you’re drawn toward a sleepier part of the neighborhood and in love with midcentury-modern charms, 2322 Carter Ave. is a picture-perfect choice, nestled in hilly and quiet Rosebank, but still walking distance from excellent East Nashville eating and drinking (like all-day cafe Cafe Roze, craft brewery Southern Grist and burgers-and-fries standout Riverside Grill Shack). 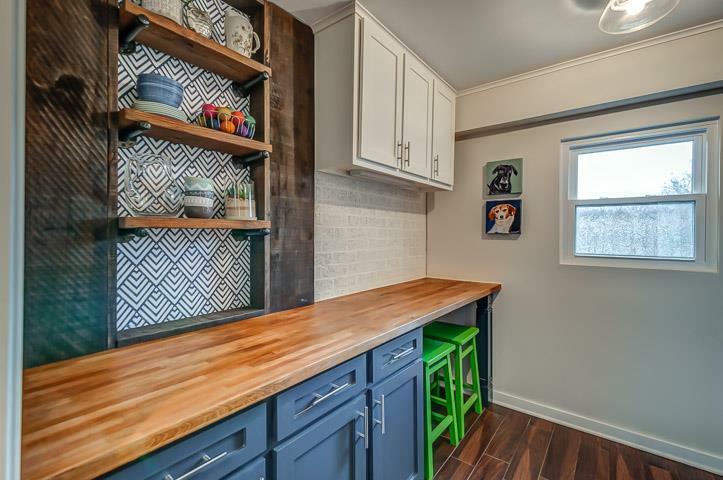 The charm is off the charts in this 4-bed, 2-bath home — the two-toned cabinets, reclaimed wood and ultra-stylish wallpaper in the renovated kitchen are a particular standout, but every inch of the place shimmers with style. The 1955 home has a lot of key functional upgrades too, like a new roof and windows, both installed in the past few years. If you’re looking for investment appeal, per codes, a second house can be built on this property too (at .64 acres, it’s a significantly sizable piece of land for the neighborhood). 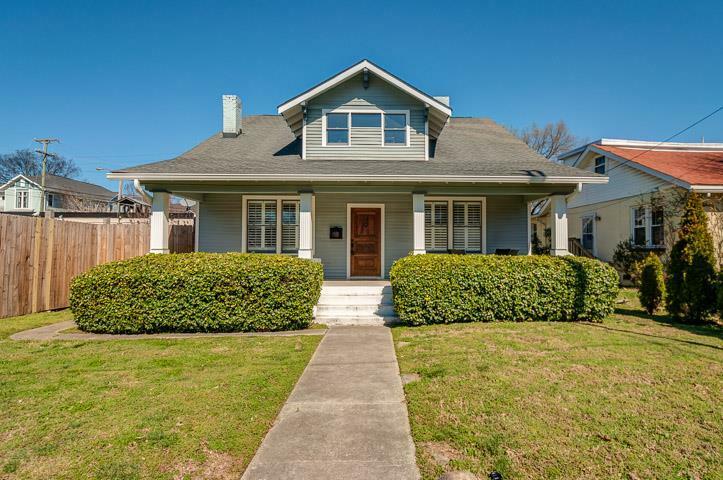 Check out more photos and details about 2322 Carter Ave., and come see the home in person on Sunday, March 4, 2 to 4 p.m.
Have any questions about either/both of these beautiful, historic East Nashville homes? Reach ACRE by phone or email, or come chat with us at either (or both) this Sunday afternoon! 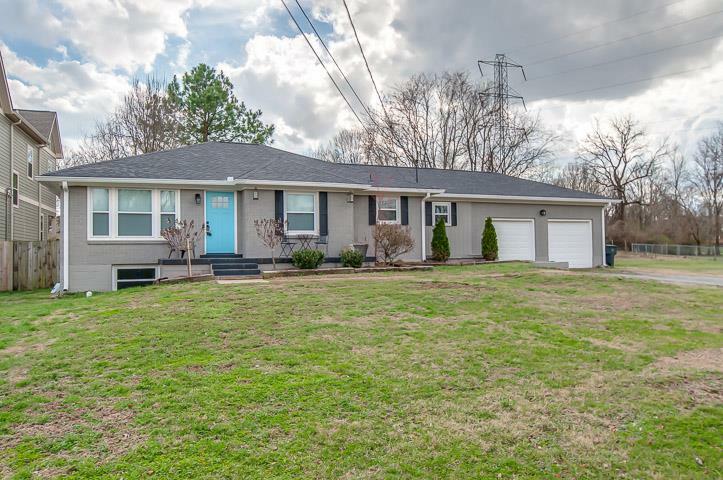 For a look at other properties we’ve listed recently (including another East Nashville beauty, the historic Victorian at 921 Lischey Ave.), head here for a full rundown of ACRE listings. For more general info about buying a home in East Nashville, take a look at this blog post.